Jan's original textures will work on this. I have included some textures as well. Your work is always so wonderful!!! 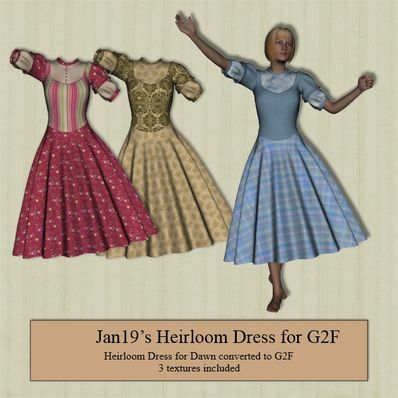 Just love this dress, thank you so much for this conversion to fit G2F and for the extra textures. You are just so generous.